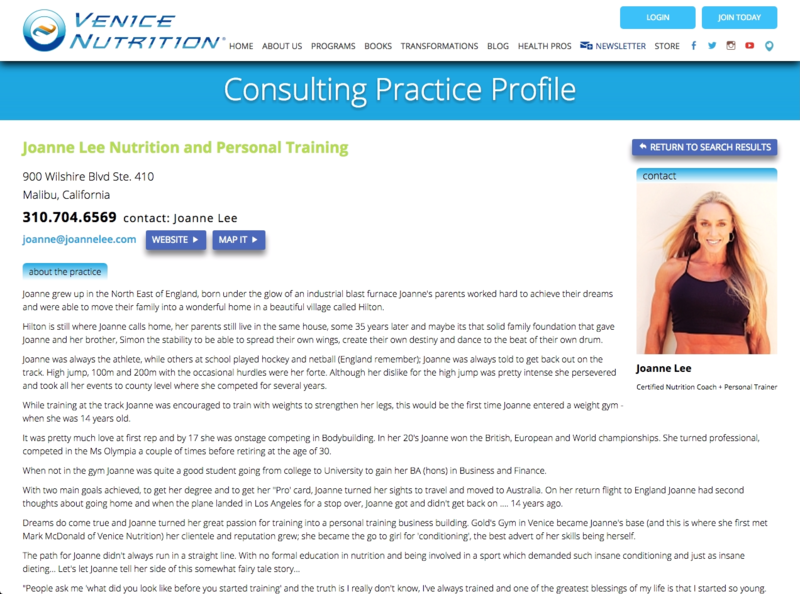 As a Certified Nutrition Coach or Health Coach you’ll possess the expertise to coach and lead clients with nutrition. Your next step is deciding how you want to market your business and deliver nutrition programs to your clients. This all comes down you, your goals and the platform you feel will best suit you, your clients and their needs. There are many benefits to licensing with Venice Nutrition and licensing typically applies to Nutrition Coaches, but some Health Coaches choose to license as well. Make sure to watch the licensing video below to see if licensing is right for your business. Also check out our Co-Brand offerings , many coaches choose that business package as well, it all depends on your business needs and wants. One Time fee of $499 to set up and create your license + 2 Powerful Strategy Coaching Sessions with Venice Nutrition Creator, Mark Macdonald and a $149 monthly fee, which includes a powerful strategy coaching session with Venice Nutrition Creator Mark Macdonald (or a Venice Nutrition Master Coach) (cancel anytime). 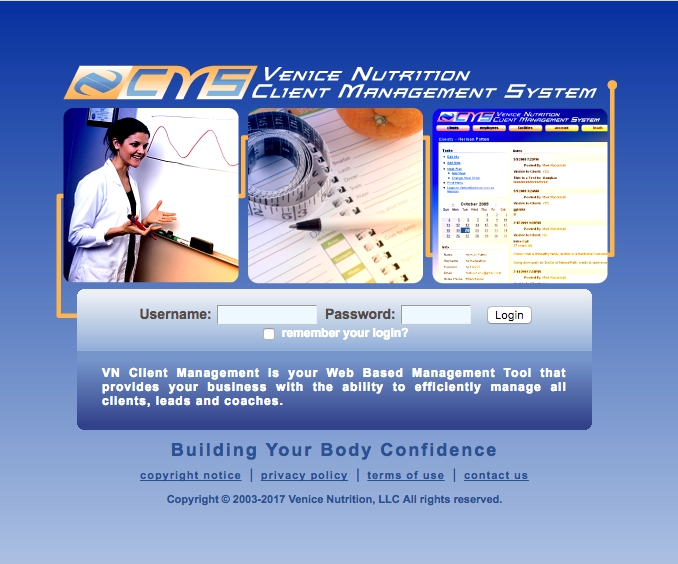 VN Client Management lets you seamlessly view, manage and register your clients for programs. As well as provide you the platform to add new coaches and manage other health pros and the clients they’re working with. With your licensing package, you will have the ability to enroll clients in the Venice Nutrition Software (Customized Meal Planning System), the 8 Week Run Program and the Kid Athlete Digital Coaching Series for the length of their consulting program. These programs will help your clients win with your coaching and provide the tools to prevent having to answer the same question hundreds of times and spend hours building meal plans. As you work with clients, you’ll have lots of questions. Licensing provides a higher level of support compared to the already incredible support receive with either the Health Coach or Nutrition Coach business including 2 one on one Strategy calls with Venice Nutrition Creator, Mark Macdonald. Marketing is a huge part of building and expanding your business. We’ve got you covered with your partnership with Venice Nutrition. We have designed winning nutrition marketing strategies for the last 14 years and will help you deliver the right marketing strategies to your clients to exponentially build your business. 2 Powerful Strategy Coaching Sessions with Venice Nutrition Creator Mark Macdonald, walking you through the set up process and your action plan. Complete setup on the VN Client Management System. This is where you will manage your clients and leads. It is also where you will find your codes used to register clients. Set up on Venice Nutrition’s Locator page – we will need the following information from you: business address, phone number, headshot and bio. Send it to healthpro@venicenutrition.com. A monthly powerful strategy coaching session with Venice Nutrition Creator Mark Macdonald or a Venice Nutrition Master Coach. For each client you enroll in either the Customized Meal Planning Software (3 month access to software), 8 Week Run Plan (unlimited access) or the Kid Athlete Coaching Series, your business will be billed $20 per person, or $10.00 per person of they are part of a group of 10+ participants. If you want your client to have access to both programs, (Customized Meal Planning System & 8 Week Run) simultaneously there will be a $10 add-on fee, for a total of $30 individually or $20 if part of a group. Same fees apply if you want to add the Kid Athlete Program as well. If your clients choose to enroll in an Subscription to the Customized Meal Planning System or Purchase the 8 Week Run Plan and Digital Coaching Series you will receive 50% on the gross monthly or yearly fee for as long as they are a member. Our current subscription prices are $19.95 monthly, and $129.00 yearly. Our current price for the 8 Week Run Plan and Digital Coaching Series is $97.00. In order to get set up on this please click here to learn about our Affiliate Program. You will have access to real-time financial reports to check on commissions at any time.